Wearing bright neon pink compression socks and a matching pink headband, Sydney Kunkler wasn’t looking to blend into the woodwork. She’s not the bashful sort. Kunkler doesn’t mind having her name in lights. “I’m an actress,” she says, with a wide smile. The effervescent Kunkler also is a rather unique athlete. 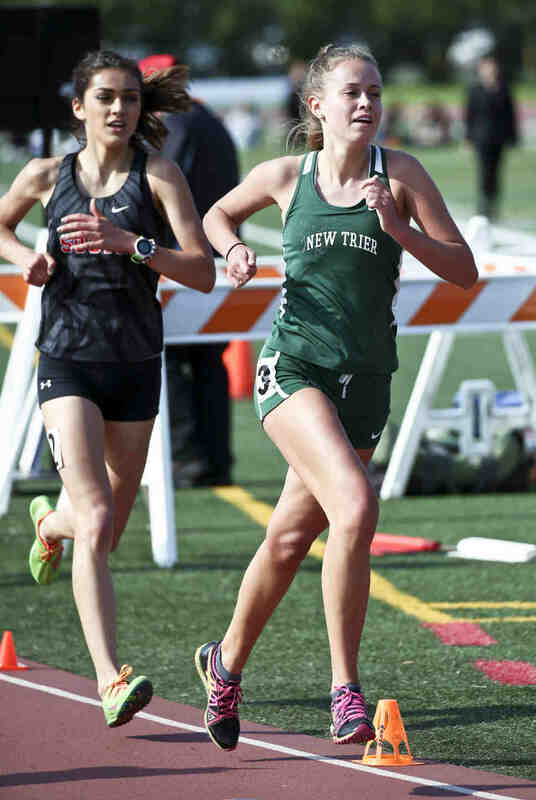 The junior helped the New Trier girls track and field team to a first-place team finish at the Class 3A Niles West Sectional on May 10. 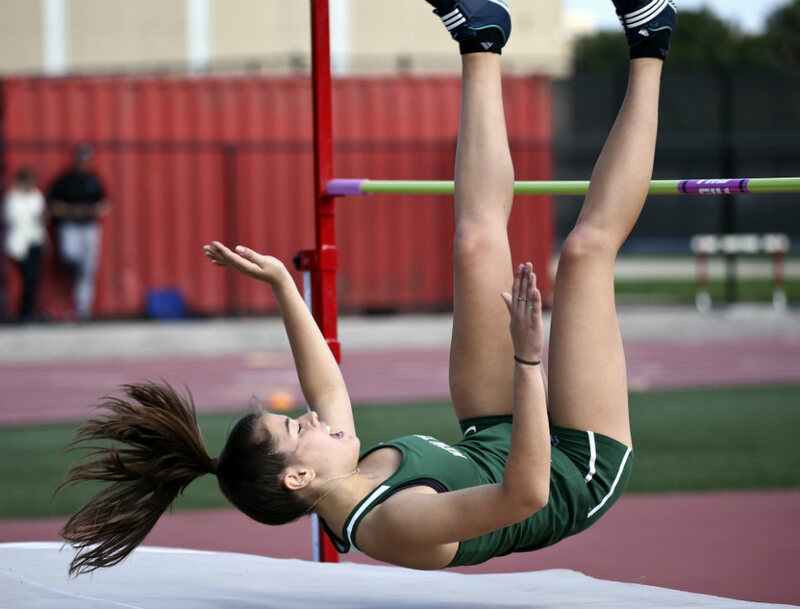 The 5-foot-10 ¼ Kunkler leaped and bounded her way to a first-place finish in the triple jump (36-8) and a second-place finish in the long jump (17-10 ½). She also anchored the 4×100 relay (3rd, 50.71). She remains one of New Trier’s star attractions. The stage definitely is a draw. But so is the euphoria of flying through space. “She might be a happy-go-lucky kid,” Klotz said. “But she’s also very focused. To her credit, Kunkler has kept her competitive edge in both fields. “Juggling theater and track, the practices and rehearsals, can be difficult,” admitted Kunkler. But she’s figured it out. Kunkler’s roles as an actress are adding up. She started performing in Children’s Theater several years ago. As an eighth-grader, she played the role of Jafar in the stage version of Aladdin. And earlier this spring, she was a cast member in New Trier’s Lagniappe-Potpourri variety show. As a triple and long jumper, Kunkler just keeps getting better. A three-time sectional champ, she will be competing in her third straight state meet in Charleston this weekend. Her arrow is pointing up. Kunkler came up with personal bests in both the long and triple jumps at the sectional meet. “By an inch and by an inch,” said Kunkler. And, despite being seeded No. 1 in her specialty — the triple jump — Kunkler didn’t dare go into the sectional overconfident. There’s a good reason for that — especially after the CSL South Meet on May 3 at Maine South. It was not Kunkler’s finest hour. She finished behind a freshman, Glenbrook South’s Sydney Willits (35-3 ¼), by nearly three inches. “Triple jump is my thing,” said Kunkler. “After losing to a freshman last week, I knew that I had to step it up today. And now … Kunkler has her sights set on breaking the school record at New Trier, which Madga Wicker currently holds (37-1). 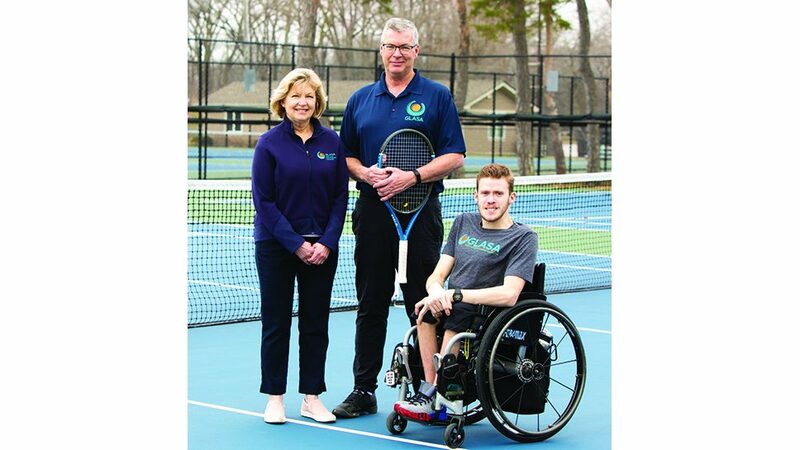 “Hopefully, I can break it at state,” said Kunkler. She will need a breakout performance to put her in medal-winning territory. 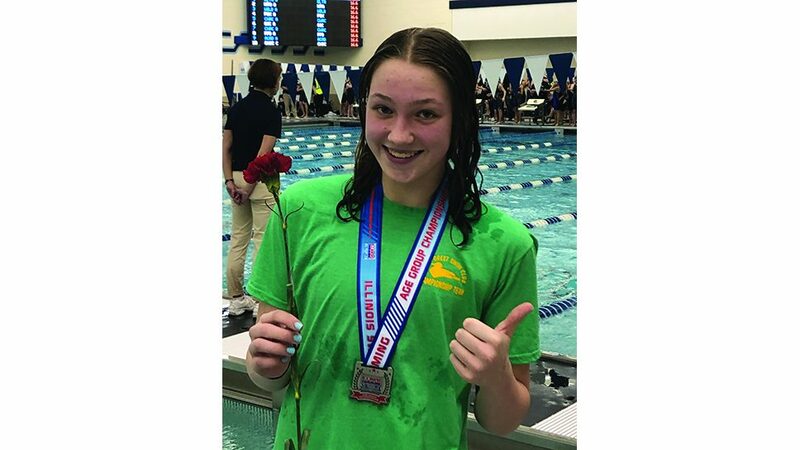 This year’s state competition is loaded with freakish talent, including Neuqua Valley freshman Riley Ammenhauser (40-6). No doubt, Kunkler will be decked out in pink at the showcase meet in Charleston. “When I first started wearing the pink ones [compression socks], I thought maybe they were too obnoxious,” said Kunkler. “But I ended up liking them. I think they add some flair. Who knows? Kunkler might even take that tradition to her new jumping destination. “Track has open up a lot of doors for me,” she said. Having good grades and test scores also is making her attractive to track coaches at high-level schools such as Wake Forest, Georgetown, Villanova and Princeton. Notable: New Trier tallied 100.5 points to win the sectional, ahead of Evanston (81) and Highland Park (69). The Trevians got off to a great start, when Emma Braband, Kiran Awatramani, Caroline Trukenbrod and Bridget Forbes teamed up to win the 4×800 relay in 9:29.57. Forbes was superb in the anchor role. “She was great, and she was gritty,” said NT head coach Robert Spagnoli. “The rest of the state might not know how good Bridget Forbes is. But we know.” … As always, the Trevians had several other strong showings in the distance races. In the 3200 meters, Leah Ulrich took first in 11:06.15 by outkicking Maine South’s Kathleen Glockner (11:07.09). Teammate Ellie Finnegan advanced with a third-place finish (11:08.56). Two New Trier runners — Marne Sullivan (3rd, 2:14.46) and Savannah Noethlich (5th, 2:19.51) — made the state cut in the 800. 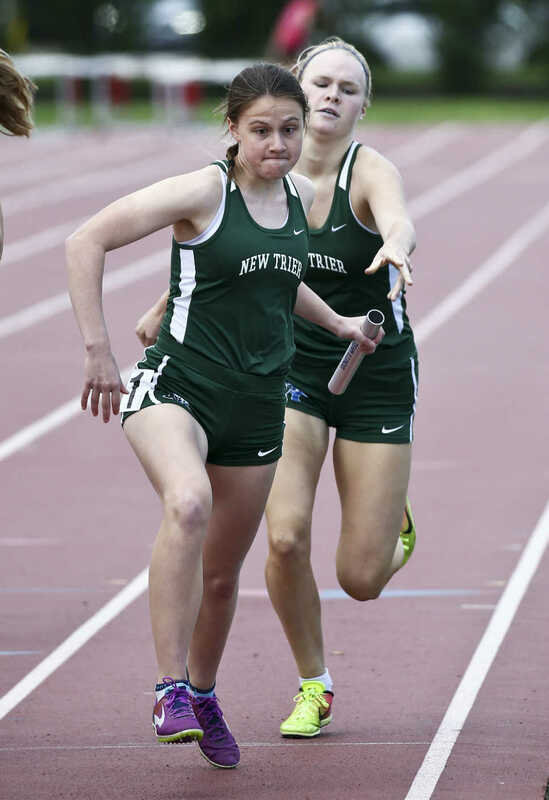 … NT’s other sectional champ was junior Emma Fowkes in the 100 hurdles (15.95), while the team’s other state qualifiers included Natalie Karabas in the high jump (4th, 5-2) and the 4×400 relay team of Fowkes, Noethlich, Sullivan and Grace McManus (2nd, 3:59.57). 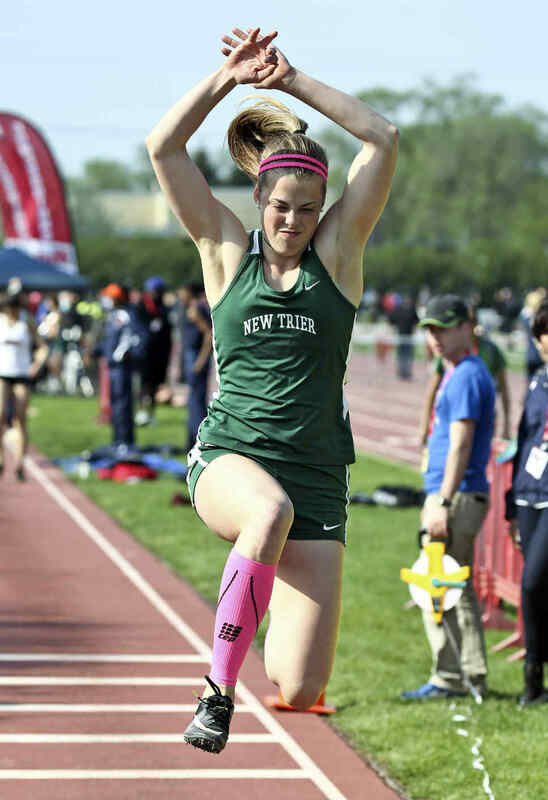 … New Trier also took first in the CSL South Meet at Maine South on May 3 with 147 points. The champs included Sullivan in the 800 (2:18.39) and the 4×400 and 4×800 relay teams. The runners-up included Sullivan in the 400 (59.74), Forbes in the 1600 (5:10.49), Fowkes in the 300 hurdles (47.61) and the 4×100 relay (51.80).